The dominance of Stockfish in the Top Chess Engine Championship continues full steam ahead. The open source engine by Marco Costalba, Joona Kiiski, Gary Linscott and a huge community of contributors, won the Premier Division of Season 14 convincingly, not losing a single game along the way. With the victory Stockfish qualifies for the Superfinal, where it will be looking for a 4th consecutive and 6th overall TCEC title. For the first time in history Stockfish will be in a situation where the “big 3″ of computer chess in not existent anymore. Lc0 aka Leela Chess Zero – the Neural Network built as an open source adaptation of DeepMind’s recent Alpha Zero artificial intelligence demonstration project – has broken the dominance the “big 3″ and has taken second position in the Premier Division ahead of Komodo (3rd) and Houdini (4th). This is going to be the first match of Stockfish and Lc0 on the highest level of computer chess. 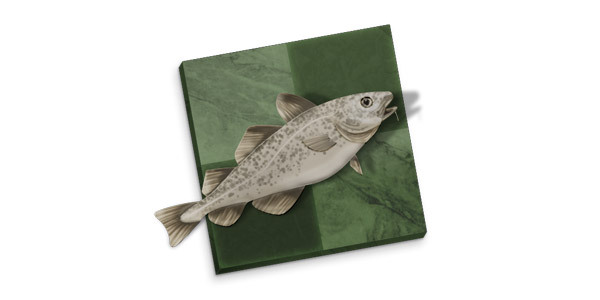 The two could not meet in the recently concluded the TCEC Cup, due to a shocking loss of Stockfish to Houdini. In a mid-division test it was demonstrated that Lc0 is highly superior to Stockfish 8, mimicking the conditions and results of the SF8 – Alpha Zero match. However, Stockfish 10 is going to play the Superfinal, and it is much superior to the Stockfish 8 version, which makes the task for Lc0 exponentially more difficult. This sentiment is shared among the computer chess fans. Out of the over 1000 (and counting) votes in the poll, 65% expect a Stockfish win in the Superfinal, while 35% expect Lc0 to be victorious. However, both Stockfish and Lc0 are going to line-up new versions compared to the TCEC Cup and anything can happen. The Superfinal is a match between the winner of the Premier Division – Stockfish – and the second placed in the Premier Division – Lc0. It is a 100 games match, which is played with 50 different openings so that each engine plays both black and white of the same position. The match will be presented with opening 1 used in games 1 and 2, then opening 2 used in games 3 and 4 etc. If the match is theoretically won for one side before game 100, the match will still continue until all 100 games have been played. In the case of a drawn match there will be a rapid match of 16 games with a time control of 25′ + 10″ with random openings selected from earlier in the same Season. In case it is still tied there will be a Blitz match of 8 games with a time control of 3′ + 2″. When the Superfinal is over, the current Season ends. The winner is crowned the Grand Champion of TCEC. Neural Network chess fans around the world are celebrating as the first major computer chess title for the self-learning engine Lc0 (Leela Chess Zero) is a fact. Lc0 conquered the golden medal of the TCEC Cup in a 32 player knockout against the best engines in the world. 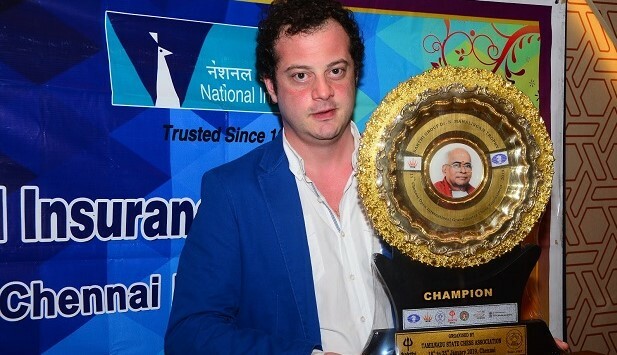 The only NN playing in the competition emerged victorious after knocking out consecutively Tucano (8-0), Xiphos (6-2), Andscacs (5,5-2,5), the three time TCEC champion Komodo at the semi-final (10-8), and the three time TCEC champion Houdini at the final (4,5-3,5). Thus, Lc0 received the TCEC Cup gold medal, ahead of Houdini and the defending champion Stockfish. It seems that a knockout format with 30 min time control is the favorite of the world’s top NN engine. Lc0 won its first major medal in the same competition last year, while just three months later it is able to win the gold medal, going all the way undefeated. First “end of an era” match? Ever since Lc0 entered the Top Chess Engine Championship back in S12, the Neural Network believers were excited that an “end of an era” is coming. This expression originates in the fact that Stockfish has been dominating the computer chess world as the strongest AB chess engine, and that Leela as a Neural Network has the highest chance of changing the status quo. Lc0 did not have a direct match against Stockfish in the TCEC Cup this year. However, it defeated in the final Houdini – a version that has won the TCEC Championship and that eliminated Stockfish at the semi-final. At its own semi-final Lc0 defeated another multiple times TCEC champion – Komodo – thus confirming that the second place in the Premier Division was a deserved one. This second place will finally give the chance to Lc0 to face Stockfish for the highest title of computer chess. It will happen at a 100 games long time control head-to-head match, the Superfinal of TCEC, that starts this February 4th at 15:00 CET. The Superfinal is a chance for Lc0 to conquer yet another pinnacle. The TCEC Cup is the first time this TCEC season that LCZero did not lose a game – it did lose games in the lower Div3, Div2, and Div1. However, Lc0 has a win against every engine that it met this season. Except one – Stockfish. Is the Superfinal going to be the “end of an era” or just another episode of a long lasting battle to come? Follow Stockfish – Lc0 Superfinal match live at the official website. FIDE confirms the World Team Championship (Open and Women sections) to be staged in Astana, Kazakhstan. The event will take place between March 4 (arrival) and March 15 (departure). FIDE President nominates India as a wild card both for Open and Women sections as they were first reserves according to the results of 2018 Olympiad. In addition, the host Federation (Kazakhstan) will have a right to nominate its teams. This is the second in a new series of analytical articles on past TCEC events. The main text can be read below on this webpage, and at the bottom you will find a link to the full layouted article in pdf format, including the important tables, graphs and images. After the successes of TCEC Season 11 (Haworth and Hernandez, 2018a), the Top Chess Engine Championship moved straight on to Season 12, starting April 18th 2018 with the same divisional structure if somewhat evolved. Five divisions, each of eight engines, played two or more ‘DRR’ double round robin phases each, with promotions and relegations following. Classic tempi gradually lengthened and the Premier division’s top two engines played a 100-game match to determine the Grand Champion. The strategy for the selection of mandated openings was finessed from division to division. The revised TCEC engine line-up is illustrated and listed in Fig. 1 and Table 1. Besides using FIDE’s 3x-repetition and 50-move drawing rules, TCEC terminated a game at move 40 or later if both engines had |eval| < 0.05 for ten consecutive plies in the current phase, i.e., since the last pawn-advance and/or capture. TCEC12 fell in line with most of the participating engines by adjudicating endgames using the Syzygy DTZ50″ EGTs rather than the Gaviota DTM EGTs which do not recognise the 50-move rule. 5-man EGTs were used for the divisions and 6-man EGTs were used for the Superfinal. Games which were apparently decisive were terminated by TCEC if both engines consistently agreed for the last eight plies that the evaluation is at least 6.5 or at most -6.5. XIPHOS by the Serbian mathematician and computer scientist Milos Tatarevic. The formidable 44-core server of TCEC11 was used unchanged in TCEC12. A principal focus was the participation of the exciting LEELA CHESS ZERO, a neural-network-architecture engine inspired by the innovations of Deep Mind’s ALPHAZERO (Silver et al, 2017). The 14 most common two-move openings in the second author’s CATOBASE (Hernandez, 2018) were allocated to rounds 1-7 and 15-21, and with colours reversed for rounds 8-14 and 22-28, see Table 2. The results, as played, are as in Table 3 though a rule introduced in TCEC11 required that the participation of SCORPIO be scratched as it had three technical crashes. The seven connection breaks with the server were thought to be caused by deadlock conditions in the engine. These losses in fact made no difference to the final ranking on this occasion. LC0 did not in fact progress but will be greatly helped by GPU assistance in a future season. The generic statistical review of TCEC12 results and terminations is given for each phase of TCEC12 in Table 11. For division 4, all rounds have four games so game r.n is game 4r-4+n in the pgn files (Haworth and Hernandez, 2018b) and the colour-flipped pairings of engines are 28 games apart. This division had 10.8% of its wins below the diagonal of the eventual x-table. ETHEREAL alone was much improved, undefeated and a strong first while XIPHOS kept RODENT III in a distant third place, beating it 4-0. In this division, the same fourteen openings were mandated as for Division 4 and used in the same order. This time however, the colour-reversed game followed immediately rather than 28 games later, giving an earlier balanced view on the bilateral contests. Rounds were therefore of eight games rather than four and were numbered from 1 to 14. Draws under the 50-move rule are very rare in TCEC, less than 1% of terminations. This is because most engines seem to monitor the ply-count, zero their evaluations as they see it reaching 100, and allow TCEC draw-adjudication to take its course. Game 13.1/97, CHESSBRAINVB-WASP, was however a 50m-rule draw: CHESSBRAINVB retained hopes of a win to the end, despite being a pawn down. CHESSBRAINVB was a clear winner but the race for the second promotion-spot was close. XIPHOS pulled off its second promotion this season, despite having lost its head-to-head matches with fellow candidates ETHEREAL and PEDONE. ETHEREAL more than justified its promotion to Division 3. Fourteen of the most frequent 100 two-move openings in CATOBASE were allocated to rounds 1-14 with, again, the colour-reversed games being played immediately. 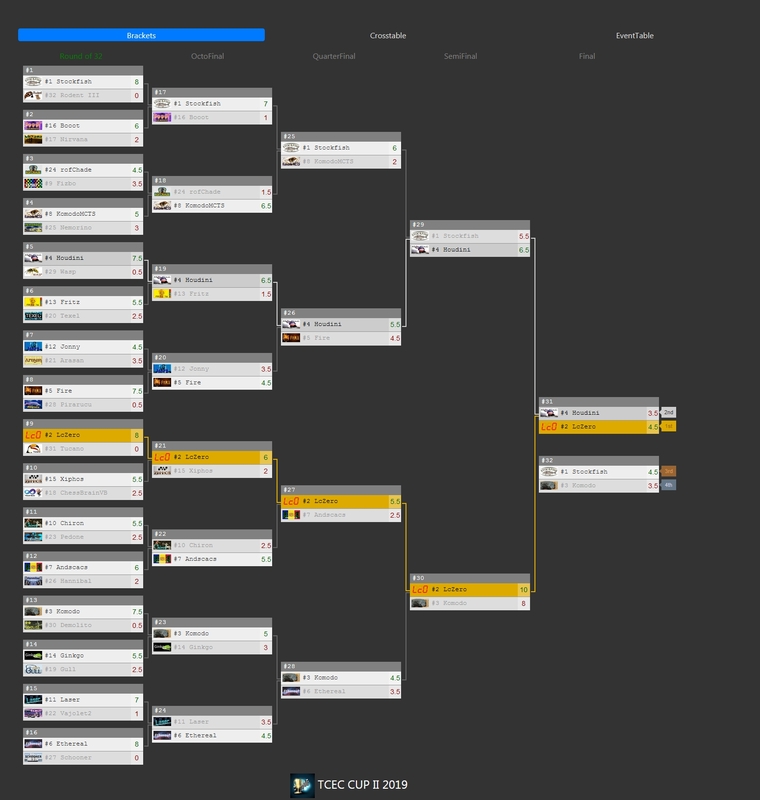 This time, FRITZ and TEXEL won promotion but the newly promoted XIPHOS and CHESSBRAINVB took the next two places. There were 10 technical crashes in the division, and both ARASAN and HANNIBAL were disqualified and relegated for disconnecting from the server: a pity as they had both scored wins against FRITZ. VAJOLET no doubt counted itself lucky to survive. The normalised Sonneborn-Berger scores suggest that this was the most closely-contested division of TCEC12. Eventually, GINKGO and JONNY triumphed though FIZBO and BOOOT kept the result in doubt until almost the end. Thankfully, we did not see another rash of engine-disconnect fails, the one ultimately irrelevant incident being g8.8/64, FRITZ–JONNY. FRITZ as Black had beaten JONNY in their first, g1.7/7, encounter and hung on to its recent promotion: TEXEL did not. STOCKFISH was the only unbeaten engine but was still second with a Performance ELO of 3443, 121 down on its nominal 3554. KOMODO lost its eight-game match against STOCKFISH but had a better harvest of wins against the bottom three engines. HOUDINI made up the three engines that stretched away from the others. CHIRON crashed three times in the first round and was pulled from the event. The Superfinal between STOCKFISH and KOMODO surprised in two ways. First, it was not close and secondly, the win-rate was high. STOCKFISH won 29-9, 23/6 as White and 6/3 as Black so White also dominated Black 29-9. In terms of the fifty two-game pairs, STOCKFISH won 22 pairs 1½-½ and the g71-72 pair 2-0: KOMODO won 4 pairs 1½-½. GM Thechesspuzzler (2018) created a Youtube stream for the TCEC12 Superfinal. Wool (2018) provided some useful chessic insight on TCEC12 as a whole. We gather together some generic statistics for the Divisions and Superfinal in Tables 11 and 12. These will help aficionados and analysts of computer chess to identify the particular games of interest to them later. The pgn files and further data are included with the e-repository version of this note (Haworth and Hernandez, 2018). Our congratulations go once again to the TCEC audience who made for a lively discussion forum, to all participants, particularly to those who gained promotion and to the TCEC12 Grand Champion, STOCKFISH and all its supporters. CPW (2018). https://tinyurl.com/icga046. Biographies of programs and authors. de Man, R. (2018). http://tablebase.sesse.net/syzygy/. Site providing 5- and 6-man DTZ50 EGTs. ‘GM Thechesspuzzler’ (2018). https://tinyurl.com/icgaj036. TCEC video playlists. Haworth, G. McC. and Hernandez, N. (2018a). 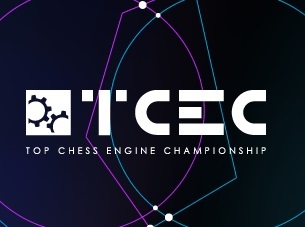 TCEC11: the 11th Top Chess Engine Championship. ICGA Journal 40(3). See also http://centaur.reading.ac.uk/75899/ for supporting data – results, statistics and pgn files. Haworth, G. McC. and Hernandez, N. (2018b). http://centaur.reading.ac.uk/76985/. TCEC12: the 12th Top Chess Engine Championship. This article plus supporting data – results, statistics and pgn files. Silver, D. et al (2017) https://arxiv.org/abs/1712.01815 Mastering Chess and Shogi by Self-Play with a General Reinforcement Learning Algorithm. TCEC (2018) http://tcec.chessdom.com. Current and past TCEC tournaments. Twitch (2018). https://www.twitch.tv/. A video/chat platform and community for gamers. Wool, A. (2018) http://mytcecexperience.blogspot.co.uk/ TCEC blog. Ο πρώην παγκόσμιος πρωταθλητής Βλαντίμιρ Κράμνικ (43 ετών, Ρωσία) ανακοίνωσε στη λήξη του τουρνουά Tata Steel στην Ολλανδία το τέλος της καριέρας του στο επαγγελματικό σκάκι. Ο Κράμνικ ήταν παγκόσμιος πρωταθλητής στο διάστημα 2000-2007. Είχε κερδίσει (χωρίς ήττα!) τον Γκάρι Κασπάροβ 8.5-6.5 το 2000. Οι επιτυχίες του στη διεθνή σκακιέρα πολύ μεγάλες, με δεκάδες πρωτιές σε επαγγελματικά τουρνουά κορυφής. “Είχα αποφασίσει να σταματήσω το επαγγελματικό σκάκι εδώ και μερικούς μήνες και ήρθε η ώρα, εδώ στο Tata Steel να το ανακοινώσω δημόσια”. “Η ζωή μου σαν σκακιστής υπήρξε μια υπέροχη πορεία και είμαι ευγνώμων για όσα μου προσέφερε. Μερικές φορές ήταν δύσκολη, μερικές φορές πιο ονειρική από όσα μπορούσα να φανταστώ και σε κάθε περίπτωση ήταν για μένα μια ανεκτίμητη ανθρώπινη εμπειρία. Προσπαθούσα πάντα να πετύχω το καλύτερο”. * Ο Κράμνικ είναι κατά τη γνώμη μου (του συντάκτη του skakistiko) ένας από τους πλέον σημαντικούς σκακιστές της ιστορίας. Η δική του κατανόηση των μυστικών του παιχνιδιού υπερβαίνει κάθε σύγχρονό του κορυφαίο σκακιστή, συμπεριλαμβανομένου και του νυν παγκόσμιου πρωταθλητή Κάρλσεν. Το σφιχτό του δημιουργικό του (κυρίως στρατηγικό) στυλ υπήρξε για πολλά χρόνια τόσο αποτελεσματικό και διδακτικό που αποτέλεσε σε ζωντανό χρόνο ένα μυθικό στοιχείο του σύγχρονου παιχνιδιού. Η σκακιστική του δουλειά επίσης παροιμιώδης σε προσήλωση και χρόνο αφιέρωσης. Τα τελευταία χρόνια, καθώς το πέρασμα της ηλικίας στο αγωνιστικό σκάκι είναι μια αμείλικτη διαδικασία, τα αποτελέσματά του είχαν αστάθεια και από ένα σημείο και πέρα φανερά πτωτική πορεία. Ο ίδιος στην ανακοίνωσή του λέει πως ήρθε η ώρα να ασχοληθεί και με άλλα πράγματα στη ζωή ενώ θα βρίσκεται στο σκάκι για ανεπίσημους αγώνες επίδειξης και γρήγορου χρόνου. Former world champion Vladimir Kramnik (43) has just announced that he will end his career as a professional chess player. Kramnik was world champion from 2000 until 2007. He dethroned Garry Kasparov by beating him 8.5 – 6.5 in 2000. Kramnik didn’t lose a single game during this world championship match. He has won virtually all top tournaments, most notably ten clear of shared victories in Dortmund. Vladimir Kramnik developed a training program for the chess section of Sirius Educational Center in Sochi, the elite Russian establishment for talented children. 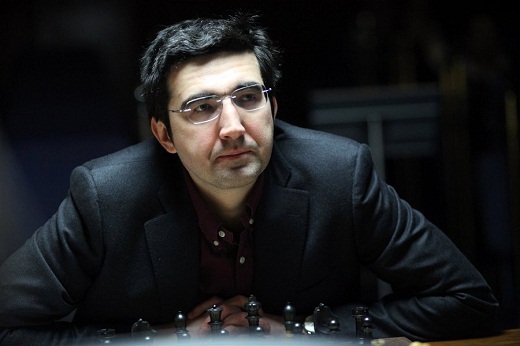 Kramnik was recently appointed member of FIDE Planning and Development Commission (PDC). FIDE President Arkady Dvorkovich had a meeting with FIFA President Gianni Infantino in Zurich on January 24. During the meeting they thoroughly discussed the prospect for further cooperation in the near future and agreed on the nearest short term actions. FIDE and the Grand Chess Tour are pleased to confirm that they will cooperate with regards to the final scheduling arrangements of participants in both the 2019 FIDE Grand Prix and the 2019 Grand Chess Tour. This will ensure that Players can accept invitations to both the 2019 Grand Chess Tour and the 2019 FIDE Grand Prix series should they wish to do so. The second GSC meeting took place in Wijk aan Zee from January 25th to 27th 2019. Many important decisions are submitted for the Presidential Board’s approval. 4th leg: December 10th – 24th. 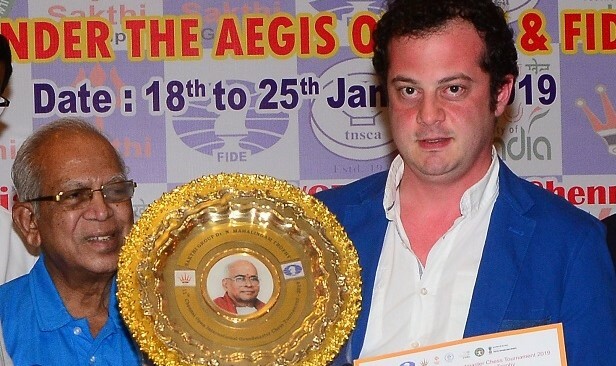 Two winners will qualify for the 2020 Candidates Tournament. Total prize for each event will be EUR 130,000. In addition, EUR 280,000 Prize Fund to be awarded based on the best cumulative score in the entire Series. FIDE publishes the list of qualified players and 12 reserves. Players will have 7 days to sign the contract after FIDE publishes the contract as well as Rules and Regulations and the list of cities which will host the Series. The Grand Prix Series will be featured on Eurosport.